Can’t wait for college football season?! 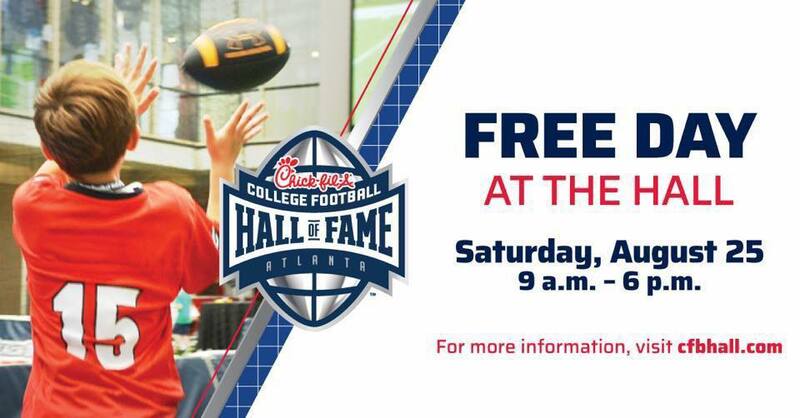 Get hyped now and celebrate all that is college football at Chick-fil-A Peach Bowl Football Fest at The College Football Hall of Fame. Add this FREE, family-friendly and fun event to your weekend plans in downtown Atlanta on Saturday, August 25 from 9 a.m. to 4 p.m. The festival will be located on Marietta Street in front of The Hall. Come enjoy games, face painting, cheerleaders, DJs, mascots, inflatables, a chance to play like a legend in our Skillzone challenge, and more!